Chinese-owned Italian bike maker Benelli has showcased the production Benelli TRK 251 at the EICMA 2018. 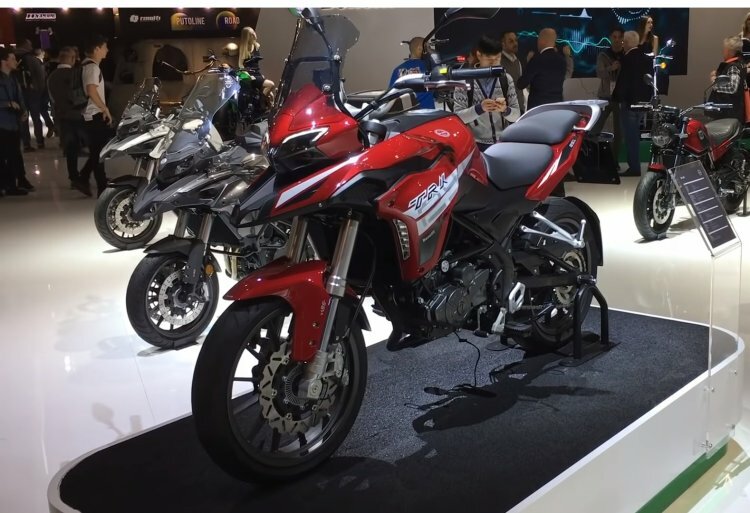 The smallest ADV from Benelli is expected to launch in India by the end of 2019. The Benelli TRK 251 is likely to launch in India by the end of next year. In August, Benelli announced its partnership with Hyderabad-based Mahavir Group after splitting with DSK Motowheels to continue its Indian operations. Coming back to the TRK 251, Benelli had showcased a prototype at the EICMA 2017. To aid its touring capabilities, the Benelli TRK 251 is equipped with a 17-litre fuel tank, while it has a low kerb weight 153 kg. The company is also expected to bring the Benelli TRK 502 in India. Powering the Benelli TRK 251 is the same 249 cc, single-cylinder, liquid-cooled, 4-valve engine that powered the TNT 25. The fuel-injected motor is capable of producing a maximum power of 25.5 bhp at 9,250 rpm and a peak torque of 21.2 Nm at 8,000 rpm. A six-speed gearbox works effortlessly in sync with the engine. The Benelli TRK 251 features softly-sprung 41 mm upside-down forks at the front and a preload adjustable mono-shock at the rear. It receives suspension travel of 120 mm at the front and 51 mm at the back. The bike rides on 17-inch alloy wheels at both the ends that pair with 110/70- and 150/60-section tubeless tyres at the front and rear, respectively. The motorcycle drops anchors with the help of a 280 mm front rotor with four-piston callipers and a 240 mm disc at the back with a single-piston calliper. The Benelli TRK 251 is expected to retail in India at around INR 2.50 lakh (ex-showroom). It will compete with the likes of Royal Enfield Himalayan, BMW G 310 GS, and the Kawasaki Versys-X 300. Benelli is also planning to launch the Imperiale 400 and 530 to rival the Royal Enfield Classic range.